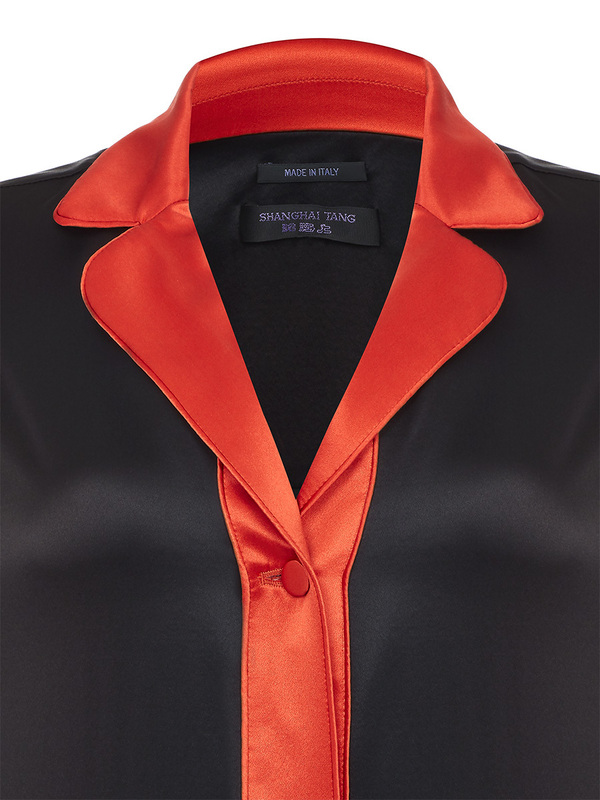 The sleek pajama blouse, initially to sleep in but now to wear, is an iconic element of Shanghai Tang and is extremely versatile while being incredibly sensuous against the skin. 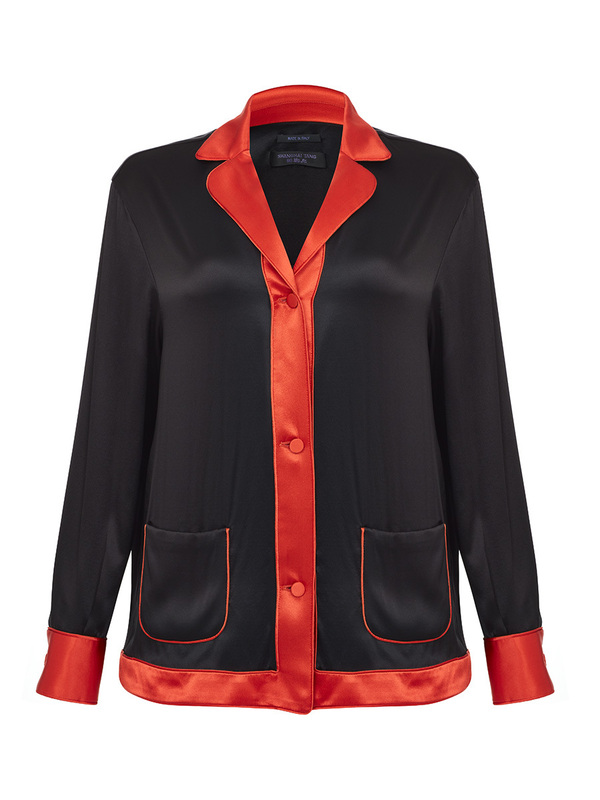 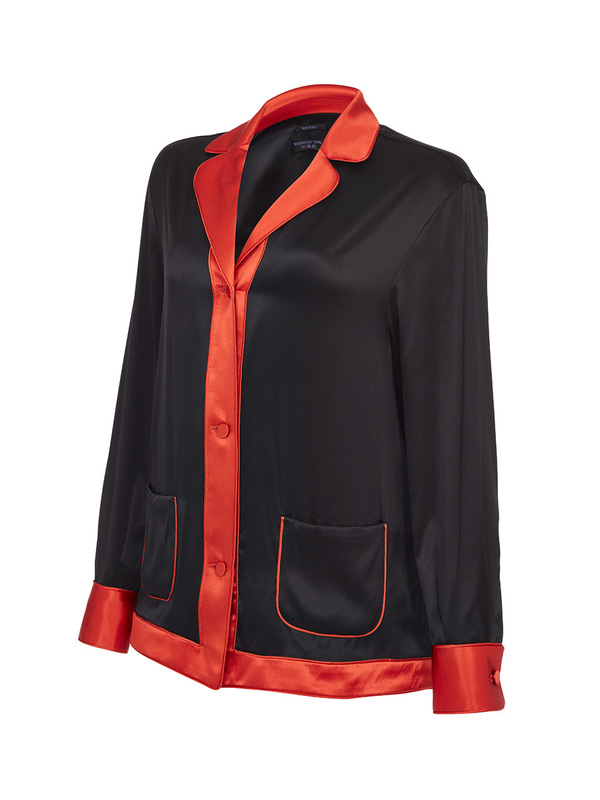 Made from Mulberry silk satin, the chic black blouse has a vibrant contrasting border of bright orange. 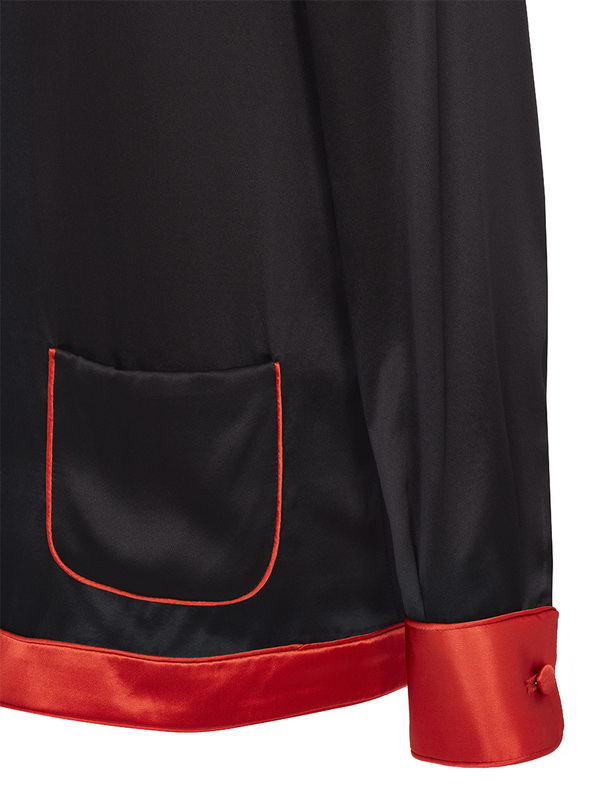 It can be paired with matching drawstring pants (F18WRP0257AACWAN) and delightfully shows the weaving influences of East with West. 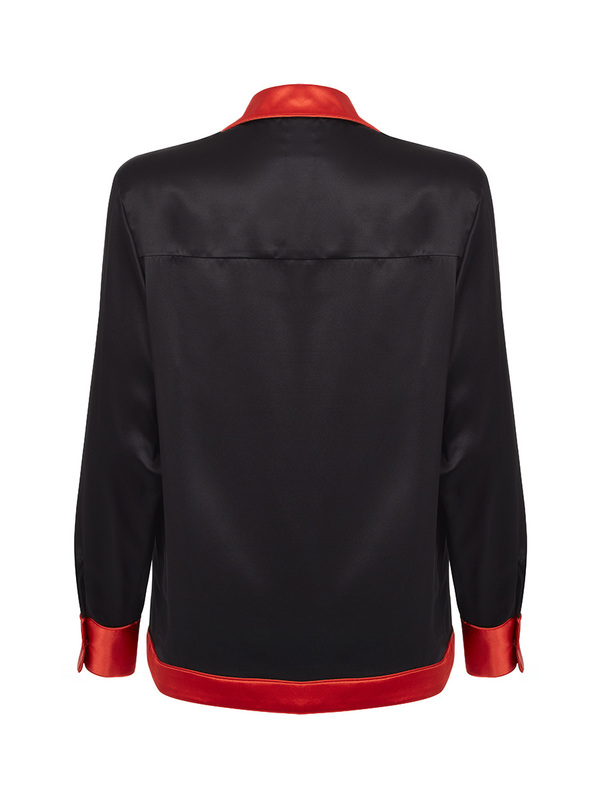 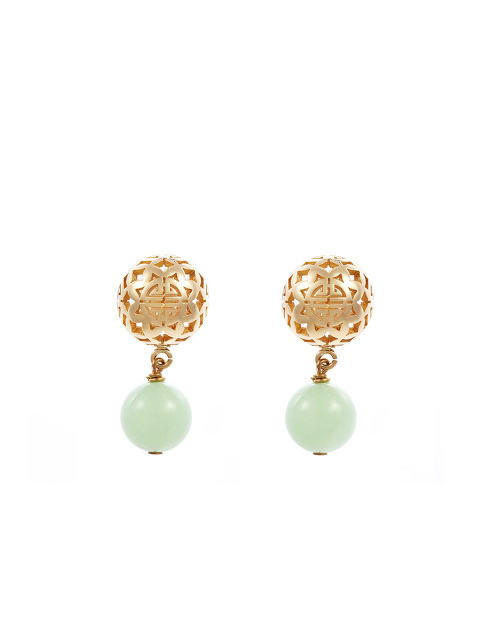 Colour: Black Made in Italy.